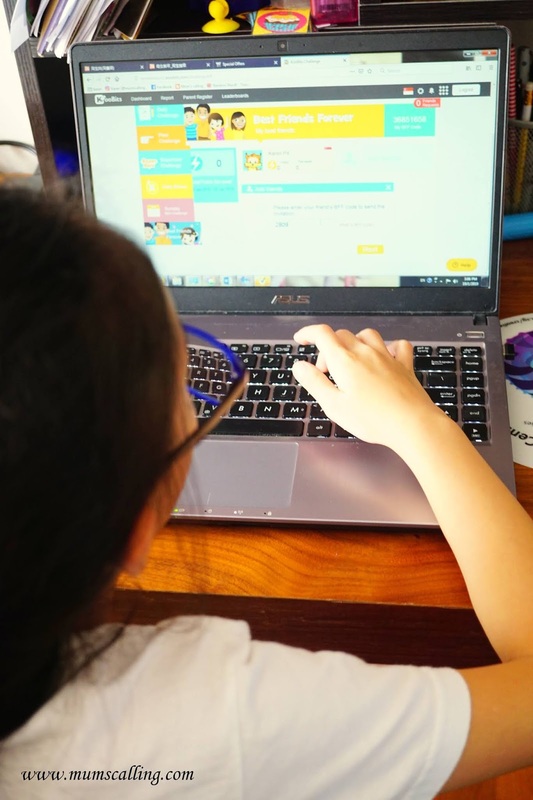 1 in 2 Singapore primary school students are using KooBits problem sums to improve their Maths. That is about 8000 plus Singapore primary students. In the case of our household, the daughter isn't using KooBits in school, but the son is. Ratio of 1:2 indeed. KooBits develops digital tools and platforms to help children learn better. They engage children with beautifully designed software and learning content. KooBits software tools are intuitive, interactive, media-rich and highly motivating. Co-developed with top educators and experts in child development, KooBits learning contents are age-appropriate, relevant and aligned to the latest education curriculum and syllabus. One of the top Maths learning platform in Singapore. How do you like the idea of going beyond the traditional classroom barriers? I love that we do not have to travel in and out for enrichment classes, love it for being flexible and self paced. And of course, it takes lots of independent learning. But that is where we are gearing our kids up to, isn't it?! Assignments can be assigned within KooBits by their, yours truly, Mama. As a Mum who doesn't send my kids for any academic enrichment, I love this fantastic idea. Such learning platform is perfect for our family dynamics. Proven Maths Learning Method: Singaporean Maths model method is highly recommended by educators worldwide. Because it helps pupils understand maths questions clearly and solve word problems effectively. Questions breakdown and walkthrough: KooBits breaks down the question and walks through entire solving process with video tutorials so your child knows exactly what to do and feels confident implementing every step. Great solving details shown in the video below, a primary 3 Maths question. It breaks down word problems using bar model method learned from the video lessons. Every child learns differently, and we make decisions differently. This digital platform may be used as an additional supplement or even more perfect if your child isn't doing any Maths enrichment. I like that it helps reinforce what they have learned in school. It definitely helps us see the value of flexibility and potentially exclude commuting hours in our schedule, if we ever do Math enrichment. - Brain games: Games that give that brain a workout and a breather from work. This mini arcade section is only available from 8am to 6pm daily. It only allows a maximum play time of 25 minutes daily. And to play, your child needs 1 Koko credit per day. That is earned by doing assignments! - Challenge: There are 10 bite sized challenges for complete daily. A daily task for the kids. This portion of work is only available from 6am to 10pm. Just so the kids do not compromise on sleep hours, I guess. - Homework: I am able to assign homework and deadline based on the schedule of MOE (Quick creation) or customise (Custom creation) by selecting specific skills and questions. I prefer the latter, so I can assign based on her school's learning pace. Best part, I do not have to self mark the work. Everything is automatically marked and explained, if there are wrongly answered questions. - Self Practice: This is very much self led and allows independent revision. The practices are all topical and each skill level comes with both lesson and practice. Lessons are usually short videos of detailed explanation and diagram visuals. The practices are also categorised into mechanical sums, problem sums and high ability questions. It covers a wide range of questions from easy to challenging questions, to stretch minds of the little learners. And if there is any question our child stumble upon, a video tutorial with step by step solution of models and diagrams is just a click away. So yes, it is a whole lot of independent learning and discipline with KooBits. - StoryMath: A comic story that tells of the adventure of a fox. And the chapters are unlocked gradually. Just so the kids do not get to captivated with reading, and forgot about Maths practice. We love this whole idea of practicing Math with the element of fun. It is nicely presented and extremely enticing in engaging a child to learn Math. Even for one who has Math phobia. This subscribed package has all topics and practices covered. The subscription is only at $8 per month or $99 per year. Get a 10% discount off a year subscription if you sign up with this paypal link. After discount at $89. Readers exclusive discount! We have a 2 months of KooBits subscription for giveaway to 4 winners. 2 on Facebook and 2 on Instagram. Do ensure that your child is not subscribed to the school's KooBits account to participate. Your child only needs one account for all access. 3. Tag 3 friends whom you think will find KooBits useful, in the comment section of this Facebook post. You may try your luck on both Facebook and Instagram. Giveaway ends on 08 Feb 19, 2359hrs. Azerbaycan bizim kardeş ülkelerimizden biridir. İki devlet tek millet olarak nitelendirmekteyiz. 9 milyon 762 bin nüfusa sahip bir ülkedir. Başkenti Bakü’dür. Türkiye’den giden vatandaşlara son derece misafirperver olarak yaklaşan bir ülkedir. Çünkü iki ülke arasında ki bağlar halen son derece güçlüdür. Daha havaalanından ilk girdiğiniz anda bunu siz de hemen hissedersiniz.